Few experiences are greater than a successful deep sea fishing adventure, and at Break Loose we’ll give you the best fishing trips that really deliver. From experienced fishermen to weekend novices, we have deep sea fishing packages and tours that everyone will enjoy – gents and ladies! 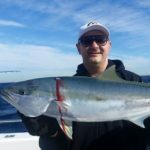 Cast your line into the stunning deep seas of Sydney and the Gold Coast, or into the beautiful fresh water of the Nepean River and other freshwater fishing locations in New South Wales and around Australia. 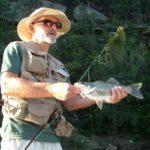 A fishing tour is a chance to connect with nature, have a great time on the water and, of course, reel in a beauty. 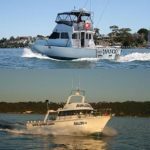 Our deep sea fishing charters will take you to the best spots along the gorgeous coastline, allowing you to look back at the shoreline of places like Sydney and the Gold Coast whilst you catch some of the ocean’s finest fish. 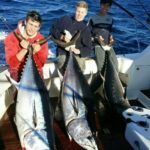 A deep sea fishing trip or fishing charter is a wonderful gift experience for all those fishing enthusiasts hoping to make their greatest catch yet. For novices, a fishing charter is a wonderful way to learn the art of fishing and it’s even a great adventure for those who just want to come along for the ride! A deep sea fishing charter is one of those gift experiences that makes everyone happy as it’s a fun water activity packed with laughs, views, sunshine and adventure.